BCM International has a long-standing relationship with Awana Ministries, including partnering together to create our Sharing Christ with Kids training curriculum. Awana Ministries has a long-standing relationship with Bolivia, which is where Awana’s first international clubs were started in 1972. Or OANSA, as it is called in Bolivia (Obreros Aprobados No Son Avergonzados, the Spanish translation of Approved Workmen Are Not Ashamed from Awana’s theme verse, 2 Timothy 2:15). 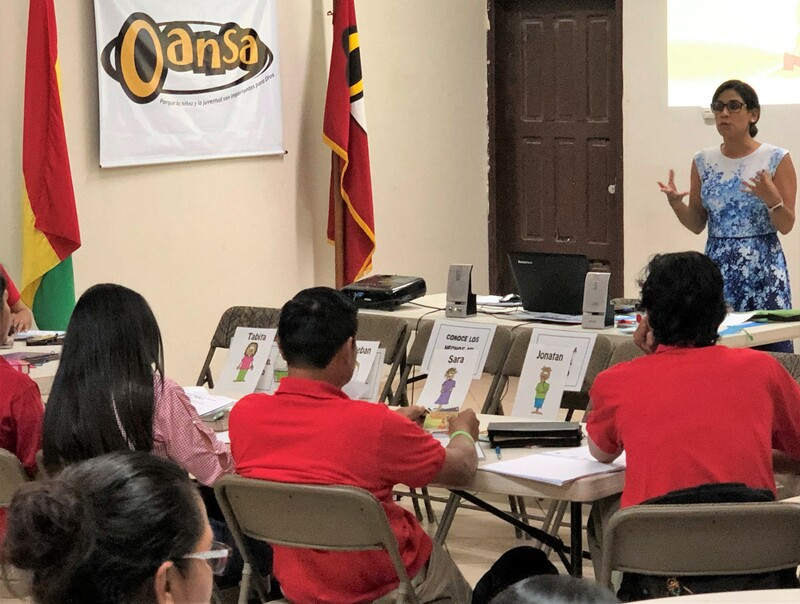 From January 18-20, 2019, Awana leaders from different regions of Bolivia traveled to Santa Cruz, a city of over two million in the Bolivian lowlands, for a three-day training workshop. Roger Espinoza and his wife Cesia taught the four core sessions from BCM’s In Step with the Master Teacher children’s ministry curriculum. The Awana leadership team taught a few sessions as well. 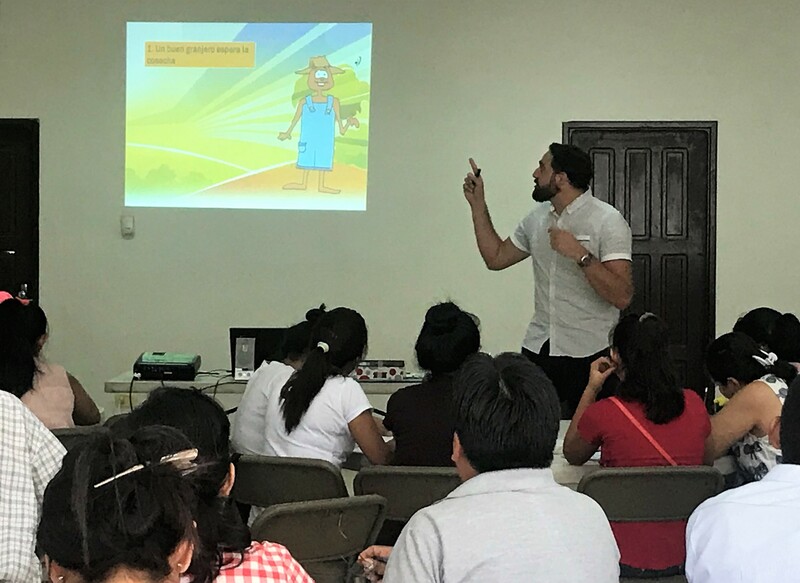 BCM Peru director Jonatan Odicio and his wife Shantal traveled from Lima to present the Sharing Christ with Kids curriculum. A total of thirty-three regional Awana leaders completed the training. 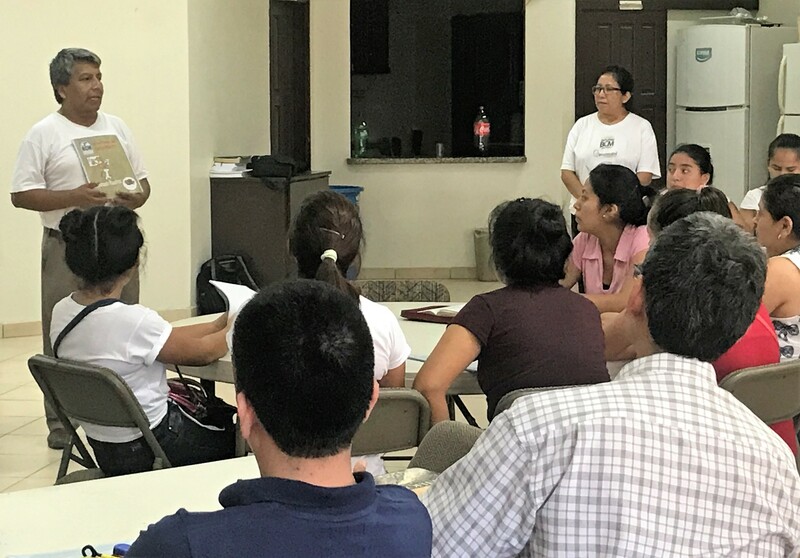 A main goal for participants was not only to enrich their own leadership and teaching skills, but to take back home to their various regions of Bolivia important concepts and information to share with other teachers and Bible Club leaders. On Sunday afternoon, January 20th, children’s ministry leadership from churches all over Santa Cruz as well as some local teachers and even families gathered to participate in a Sharing Christ with Kids training workshop presented by Jonatan and Shantal Odicio. The forty-plus attendees were challenged to write down at least two to three names of children and commit to sharing Christ with them when they returned home. 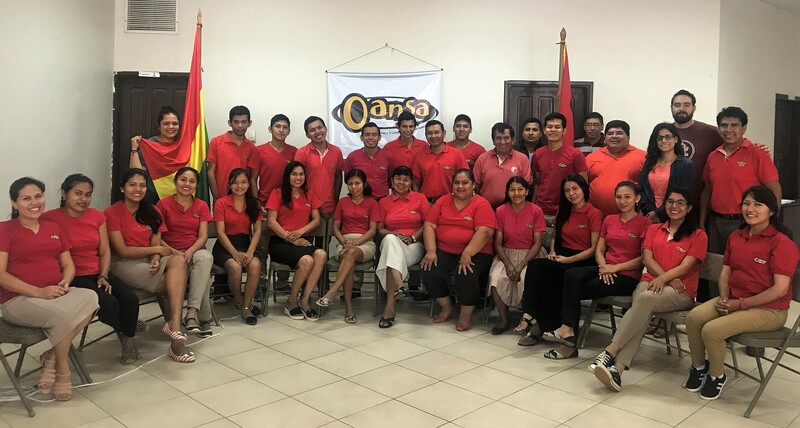 Follow up plans are for the Espinozas to meet periodically with Awana leadership across Bolivia to complete the additional twenty-two ISMT training sessions. Since Awana has more than 140 weekly clubs in Bolivia reaching almost 6000 children, this partnership between BCM and Awana contributes to their mutual vision and the great task of helping Bolivian children come to know, love and obey God.